I’ve been fascinated by all the card making demos on YouTube that feature the use of the Gina K Designs Wreath Builder template. I finally caved and purchased the GKD’s initial bundle which included stamps and the templates. However, I used tiny stamps for another stamp set to show that any stamp set with small images will work. The wreath template is pure genius and so easy to use! Thanks to Jennifer McGuire (can’t get enough of her videos), I took inspiration from her cards using the wreath builder template and created a birthday card for a friend. Jennifer currently has three videos using the wreath builder. These videos are all fabulous. You can also see videos of how to use the product by the creator, herself, Gina K on her Stamp TV page. Go to the Gina K Designs website and click on the ‘Go to Stamp TV’ option on the top right of the home page. You will find instructions on how to use the Wreath Builder System. I won’t go into the actual details of how I made the card. There are plenty of YouTube videos for that. However, I used the 4-inch template for this project. I cut the final floral wreath in half and placed one half of the wreath at the top of an A2 card front and the other half on the bottom of the card front. I then cut a 2-inch strip of coordinating cardstock (2 inches tall by 4.25 inches wide stamped the sentiment onto it. I adhered the sentiment strip in the middle of the card front to hide the gap. Stamps: Hero Arts: Make a Wish Birthday stamp set (flowers & leaves); Papertrey Ink: Mini Blooms stamp set (dot images in this set); Papertrey Ink: Splits: Happy Birthday mini stamp set (sentiment). Inks: For the wreath, all inks are by Catherine Pooler. The colors are: Party Dress, Fiesta Blue, Lime Rickey, Tiara and Sauna. Tsukineko Versafine Ink in Onyx Black (for the sentiment). 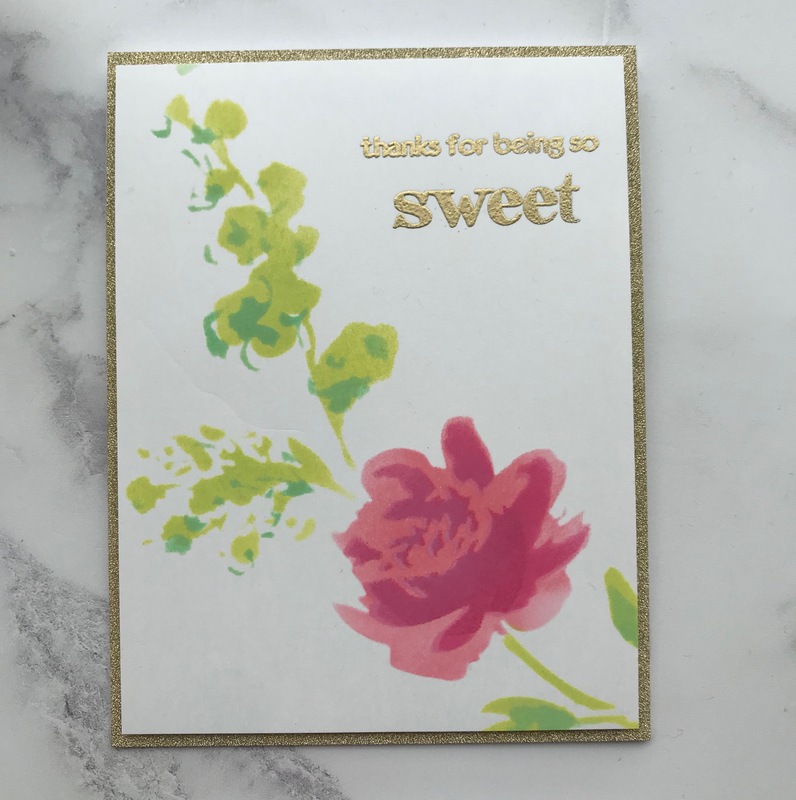 Cardstock: Neenah Solar White 80# cardstock used to stamp the wreath; Papertrey Ink: Hawaiian Shores for the sentiment strip and card mat; Neenah Solar White 110# for card base. Other: Gina K Wreath Builder template. The 4-inch sized template was used in making this card. EK Success small floral punches; blue sequins from my stash.